You are here: Home>FAQ>What's COB LED? 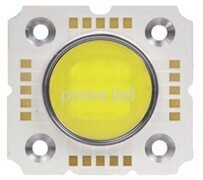 COB (Chips on Board), is a new technology of LED packaging for LED light engine. It's one of bare chip technologies, which interconnect bare chip to substrate by conductive or non-conductive adhesive, and then wire bonding to achieve its electrical connection. 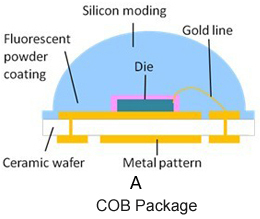 COB package is attach number of chips directly to the substrate, then packaged together by silica gel, epoxy resin or other materials, the yellow part is phosphor. Previous:	Benefits Of A Precision Forged Next: What is IP Rating's?